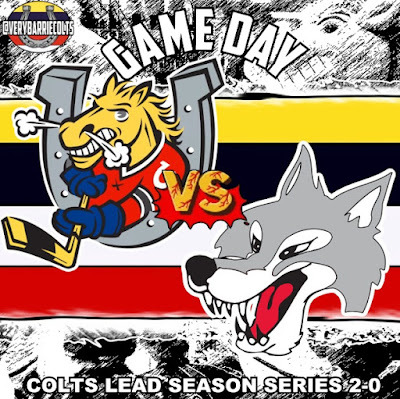 Tonight the Barrie Colts host the Sudbury Wolves for the third meeting of eight this season. Barrie currently leads the season series 2-0; outscoring the Wolves 11-4 over those games. Sudbury comes into town at the bottom of the Central Division. They have not won a game in regulation over the past 7 games played. You expect that the Wolves would be hungry for a win but you can't count out the Colts who are coming off a big loss following a bit of a hot streak. Shocked if any of you get this..
Sudbury was crushed 6-0 by the Mississauga Steelheads this past Sunday. Though they had 7 chances with the man advantage they were only able to get 28 shots total. The Wolves are 1-8-1-0 over the last 10 games. They currently average the fewest shots a game (27.05) in the OHL compared to the Colts who surprisingly sit in sixth in the OHL (32.63). Barrie is coming off a 7-2 loss to North Bay. Mackenzie Blackwood was pulled near the halfway point of the game after allowing 4 goals against on 13 shots. Not normal from the team who has allowed the fewest goals in the OHL (51). Ruan Badenhorst came in relief of Blackwood and ended up allowing 3 goals on 21 shots faced. Looked good considering he has had few opportunities to play with Mac handling most of the work load. The Colts were just off this game. Tough when you play the night before and have to travel for an afternoon game the following day. Barrie only generated 20 shots on goal. The one plus to the game was that the Colts went 2 for 6 on the man advantage. Not bad for a team who has struggled on the man advantage all season. You still got to think that it will continue to improve with Brendan Lemieux back in the lineup. Keys to Success: Barrie will need to do what it has been doing effectively and that is getting shots on goal. Barrie is 8th in the OHL for goals with 70 however they are generating a lot more chances now that they are actually shooting the puck (my shocked face). No question that captain Michael Webster has helped the team get more of a "shoot first" mentality. Is it just me or does that kid always shoot? He needs to keep that up and the team needs to follow. Players to Watch: Lots of hungry Colts to watch. Kevin Labanc (6 game), Andrew Mangiapane (11 game) and Julius Nattinen (5 game) all come into tonight with point streaks, while Cordell James looks for his 50th OHL career point as he comes into tonight with 49 points. 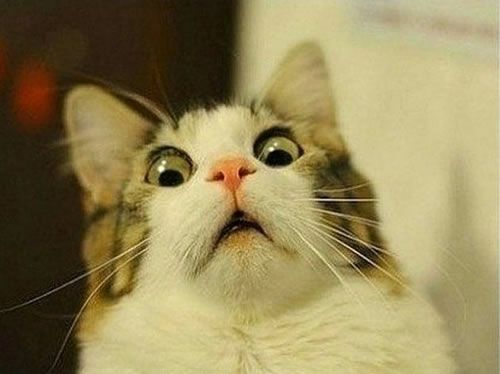 Also, Michael Webster is 2 assists away from 50 OHL career assists. Mack Blackwood also will likely be a monster wanting a big bounce back game following a tough game. Puck drop is scheduled at BMC for 7:30 tonight!